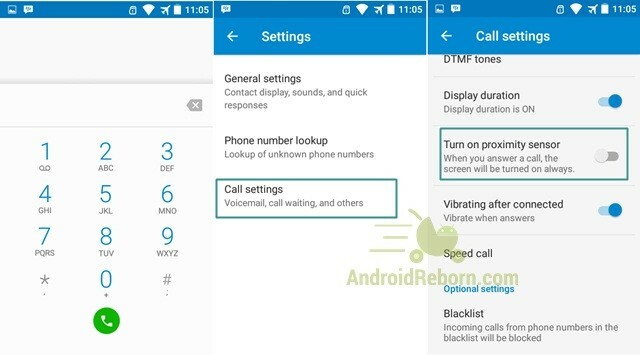 Android Reborn – Have you ever noticed this? The screen of your phone shuts off when you hold it close to your face while you are on call. The point of this action is actually to save power. However, some people do find it necessary for it to not shut off automatically like that. If that is the case with you, you need to disable the proximity sensor in it. How to disable proximity sensor on Android? Let us tell you here. First than anything, you need to clean the phone. It is so that the dust or debris won’t be in the way for the proximity sensor. To clean the Android, you just need to shut off the phone and blow the speaker. Use toothpick to remove the debris if needed. Then, restart the phone and test the sensor. This should have been enough preparation to do before disabling proximity sensor on Android. Now, it is the time for you to disable the sensor. You should be able to get things done within some minutes only for there are only some things that you need to do. Here we go then. Tap on the Phone icon on your Android. Tap on Menu button and select Settings/Call Settings. Disable the proximity sensor setting here. Test it during a call. Be sure to keep in mind that the procedure might change depending on the Android version you have. This procedure we told you here is the basic one of all. Still, it is worth to try. Once you do the last step above, the screen should stay on even when your face or hands are close to it during a call. If you find shut-off screen is in the way, trying to disable proximity sensor setting is good thing to do.